While there are many accidents that are simply out of your control, there are other things that you can work on to help avoid being in a car crash. Your actions and habits as a driver play a huge role in the risks that you incur while out on the road. That’s why “good driver” discounts are often awarded by auto insurance companies to drivers who have a positive driving record. Your local insurance company in Fall River works hard to provide incentives to drivers that will help them to improve their driving skills and reduce their chances of being involved in an accident out on the road. Need auto insurance in Fall River? Contact Paul Sullivan Insurance Agency for a comprehensive Greater Fall River car insurance policy. 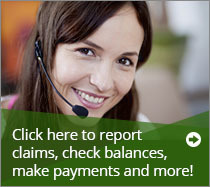 The first and most vital tip that you can get from an experienced insurance company in Fall River is to stay focused. When you are driving, you shouldn’t be doing anything else. This includes fiddling with radio stations, talking on a cellphone, disciplining kids, or putting on makeup. 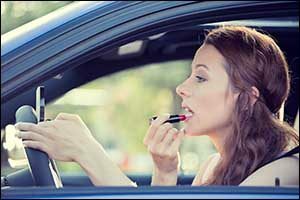 We have seen quite a few unusual situations that have caused drivers to become distracted over the years. Shaving in the middle of a daily commute, brushing and styling hair on the way to work, checking emails when late for a meeting, and struggling to pick up a wallet or other personal items that have rolled off the passenger seat. Make sure that you know the legal driving requirements regarding everything from safe speeds in construction zones to speed limits near parks and schools. A lot of the tickets that people get are due to ignorance or negligence in these areas. Watch your speed, pay attention to road signs of all types, and keep an eye out for pedestrians, bicyclists, and drivers on motorcycles. Even if you are paying attention and following the law, you need to be aware of other vehicles and people around you. Many other drivers are distracted, which supports statistics posted by auto insurance companies about distraction being the number one cause of accidents nationwide. If you drive a regular route and know that construction will be happening in a certain area, consider looking at a map to create your detour. This can help you to save time on your commute and help you to avoid an area where the risk of being involved in an accident has increased. Give yourself every opportunity to keep a good driving record with your insurance company in Fall River and the time to react if another driver is not paying attention to avoid an accident. Ignore aggressive or “road rage” drivers and try to yield to them so you can prevent a conflict from occurring. It is often easy to spot one of these drivers in a crowd, so just make a wide berth and let them go on their way. The more you can do to protect yourself and others, the less likely you will be to experience a driving accident. Weather conditions in Southeastern Massachusetts can change quickly, so it pays to stay on top of local weather reports and keep an eye on what’s happening around you. Practice safe driving habits in the rain, snow, and icy conditions, using weather-based tires and other safety gear when necessary. Check your windshield wipers ahead of any drive to make sure they are in good condition and replace them if they are damaged in any way. Carry all of the necessary tools required to scrape ice and dust off snow during the winter or to shovel your car out of snow, slush, and mud during wet weather of any kind. The more you can do to prepare for weather-related issues, the better off you will be. If you are interested in learning more about our options for Greater Fall River car insurance, give us a call at 508-678-9611. As an independent insurance agent, Paul Sullivan Auto Insurance in Fall River can help you get the best coverage and pricing from top auto insurance companies that serve the Southcoast area. Call today for a FREE quote or to learn more about all of the coverage options available through our reputable insurance company in Fall River.